Coral reefs are ancient and extremely complex communities functioning as a single unit. They are the 'rain forests of the sea,' containing the richest biodiversity of all marine ecosystems. 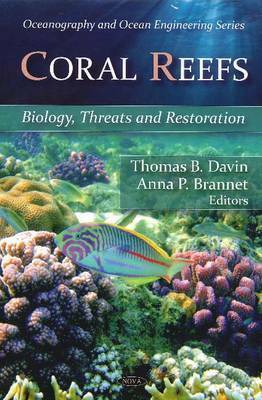 This book examines the biological aspects of coral reefs and the importance of their existence. Environmental threats to coral reefs are reviewed (i.e., global warming, overfishing), and ways in which the coral reef ecosystem can be restored are also discussed. Marine ornamental fish play an extremely important role today in the international fish trade. The data on breeding and rearing protocols for some of these high value marine ornamental species are reviewed. Phototrophic dinoflagellates called zooxanthellae and their possible role in coral reef management are also described. Furthermore, the causes of reef damage such as destructive fishing methods are examined. Other examples of adverse human impacts on coral reef sustainability, such as over-fishing, are also reviewed. It is suggested that coral calcification is closely coupled with carbon dioxide in seawater. This book describes the impact of anthropogenic surface ocean acidification with increasing atmospheric carbon dioxide on coral calcification. In addition, changes of caspases in the brains of hypoxic fish are examined by comparing a coral reef with a freshwater teleost. 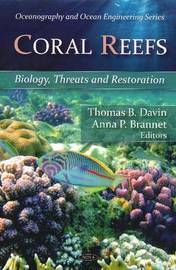 This book also provides a basic knowledge of tsunami effects on coral reefs to aid in the future evaluations of coral damage by tsunamis.